With AI being so young, it is still vulnerable to attacks that can affect its operations. However, AI could also be used defensively to identify new threats and better protect systems from attacks. As organizations are adding more data to the cloud, they’re not practising good enough housekeeping to secure that data, making them a top target for cybercriminals. As 5G takes the place of 4G, the market for 5G infrastructure is expected to grow by 118 percent annually through 2022. While this growth rate is profitable for cellular networks and providers, it also creates new vulnerabilities for potential threats. Instead of connecting to a Wi-Fi router, 5G devices connect directly to a 5G network, making those networks more appealing targets for hackers and at the same time making it more difficult for users to monitor their devices. Despite being the most secure method of authentication, biometric data can be stolen and altered. As well, sensors on smart devices can deteriorate with excessive usage, making them less reliable and easier to hack. Criminals are targeting bank networks with malware, similar to the way they use credit and debit card skimmers to steal banking information and passcodes from unsuspecting customers. The result can be millions of dollars in losses and a lack of trust in major financial institutions. The online gaming industry has seen massive growth and is expected to hit $2.2 trillion by 2021. This is an attractive target for cybercriminals who can easily pose as gamers’ while trying to gain access to other gamers credit card information. Devious cybercriminals are using tactics that involve breaking into an email system and learning as much as they can about their targeted victims. They use that information to take advantage of the trust built with another person and scam them out of money. 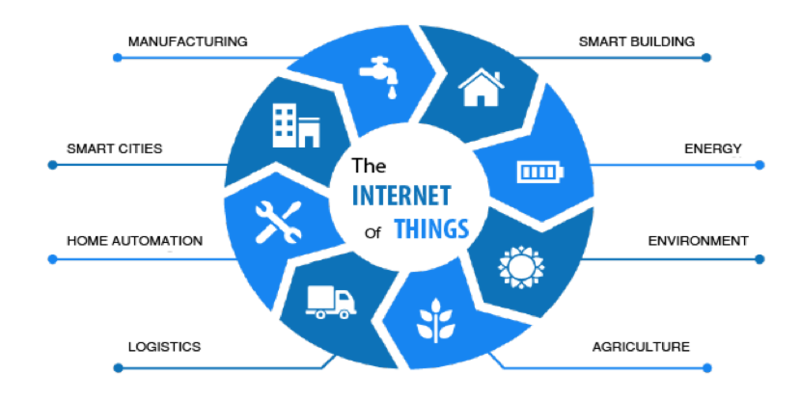 An internet of things device, or IoT, is any smart device that is connected to the internet. Many of these devices are everyday objects, like watches or thermostats, which connect via Wi-Fi, allowing users to control them remotely or even collect data. Employers pride themselves on using IoT technology to modernize their workplace and stand out from their competitors. Devices like smart desks, video conferencing systems, security systems, smart TVs and intelligent HVAC systems are becoming the standard. Unfortunately, these same gadgets can create a growing security threat for businesses that haven’t taken precautionary actions. Consider multi-factor authentication or use certificates. Both are able to stall hackers who’ve managed to crack your password. Create a separate Wi-Fi network specifically for all IoT devices. If hackers access the IoT network, your separate business network should still be safe. It is important to consider what the device has access to before setting it up in order to limit access to sensitive data. For example, IoT security cameras can expose sensitive information to hackers. As well, be sure to clear devices storage on a regular basis and never store critical business or personal data on these devices. In the event of a hack, be prepared to disable your devices and reset the factory settings at any time. If you regularly back up your devices, it should be easy enough to restore and reconnect them. Avoid installing third-party software. Although third-party software can make it easy to add functionality to IoT devices, it can also open the door to potential hackers. You should never install software or additional applications from an untrusted source. Turn off IoT devices when they aren’t in use. This may seem like a simple solution, but active devices are vulnerable to attacks. Just by switching off unused devices, you can improve network security overall. Although IoT technology is likely here to stay, it is important to remember that it is still in its infancy. By taking proper precautions, you can enjoy its conveniences while ensuring it doesn’t threaten your business operations. An unfortunate example of the damage that cybercriminals can cause was the cyber-attack on Marriott International in 2018, where 500 million guests’ information was exposed, making it one of the largest cyber incidents in history. The company has already begun emailing affected guests and has set up a website and call centre to answer customer questions.